Emma Dibben: illustrator and allotment gardener extraordinaire! 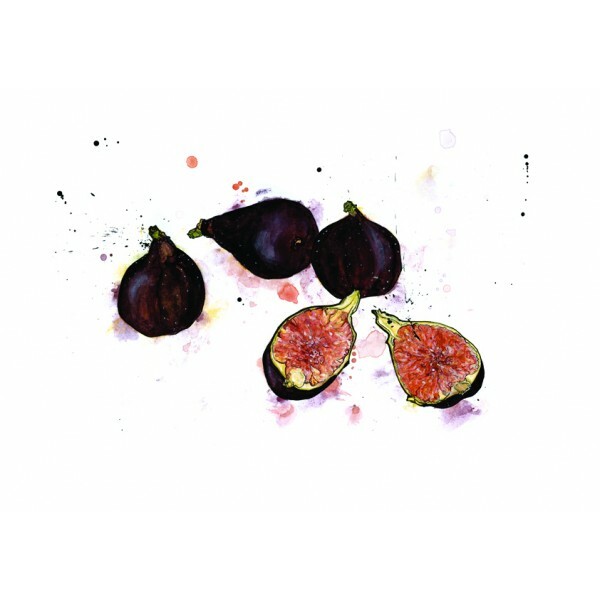 These luscious figs, just enticingly juicy enough to make your mouth water and purple enough to evoke jewel-like baubles, are the work of English artist Emma Dibben. 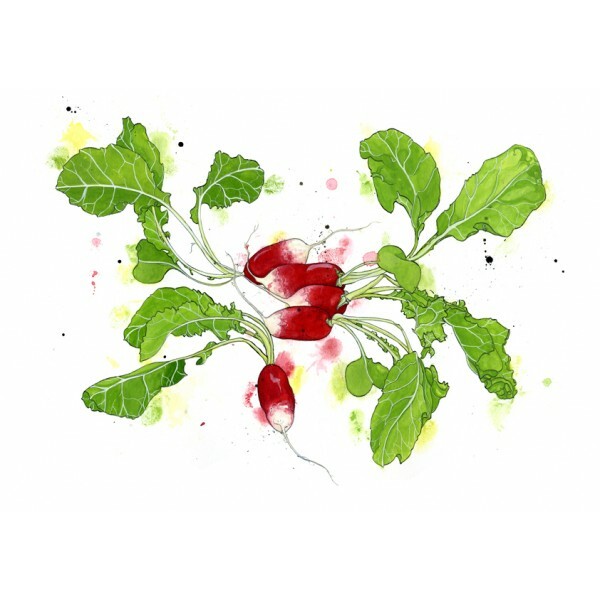 If these images look at all familiar to you (like these delightful French Breakfast radishes), it might be that you’ve been lucky enough to acquire a re-usable Waitrose shopping bag. … so you may have also seen her work in issues of House & Garden magazine, BBC Gardens Illustrated, Conde Nast Traveller, The English Garden and other print media. But fans of her work can also buy her originals or signed prints either from her own website or from the Bristol Contemporary Art website here. Emma has an allotment garden which she has blogged about since 2010 and this is where she gets much of her visual inspiration. I find the best illustration is done by those who have seen, felt and tasted their subject. Emma clearly has a green thumb and exercises it regularly on this plot of verdant earth. She is a committed allotment-er and grows not simply veggies in the ground, but fruits and berries from trees and vines. I think her allotment is not simply abundant but also beautiful. 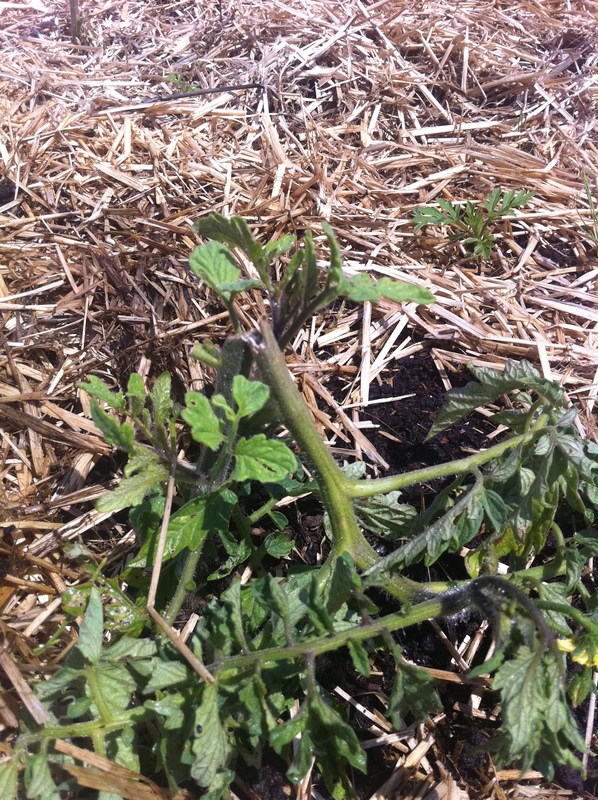 I have been told by Mary, a veteran allotment-er, that the culprits are field mice (our guesses had been giant cutworms, voracious earwigs, rabbits, groundhogs, etc…). 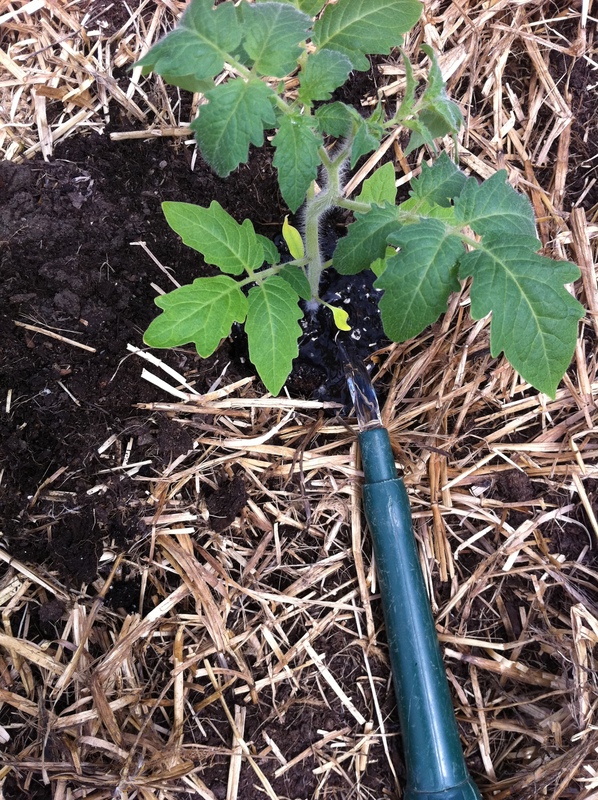 Well, live and let live I say so immediately went out to the Lansdowne Market the following day and purchased four new tomato plants: 2 Brandywine and 2 I can’t remember (another heirloom variety). 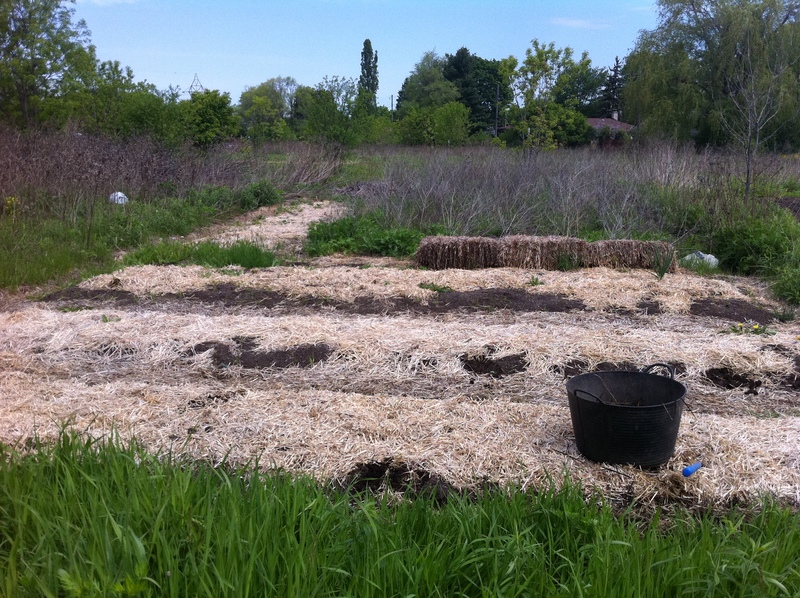 As you may remember from last year, I had high hopes for this allotment and my hopes have not been dashed. This season we have grown and already harvested different varieties of greens as well as some Rainbow chard. 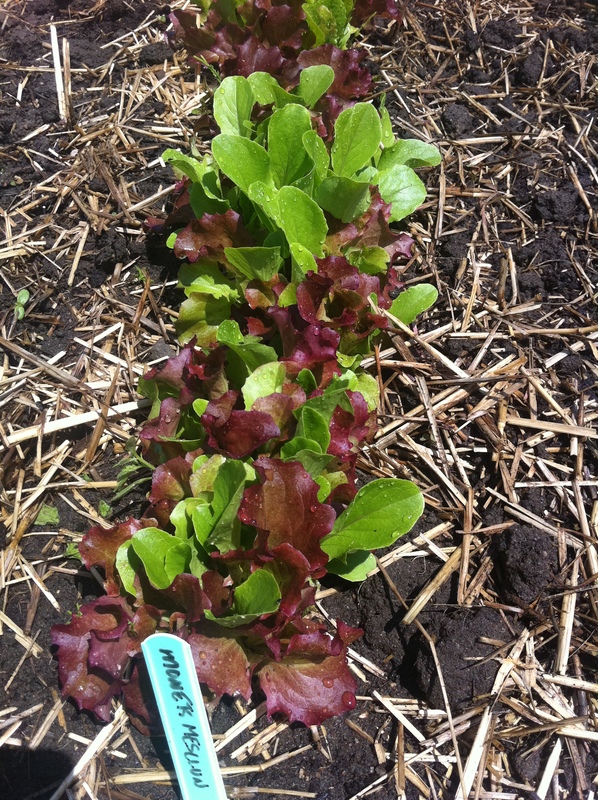 Here is Monet’s Garden mesclun from Renee’s Seeds. In the last couple of weeks the plants have grown exponentially! I have also snagged some blackberry, raspberry and haskap plants from certain death on a rack in a Loblaws garden centre as well as several shrubs that I received to trial as a result of my membership in the Garden Writers Association. Lucky me! So, although my allotment is several minutes from home and completely at the mercy of mice and men, I am hopeful that it can begin to flourish as a place of ornamental experimentation and tasty produce. I may even buy some fruit trees! I’ll be back again with more photos. In the meantime, I will dream of Emma’s beautiful plot and devise ways to make mine half as lovely. Previous PostThe power of the leafNext PostSkye-dog is 10!